After spending last week away on his holibobs, Ashley Young is now on the very cusp of completing a move to Manchester United after reportedly passing a medical at Carrington yesterday. The PA reckon that Young agreed personal terms with United a fortnight or so ago and will now seal the five-year deal after Aston Villa agreed a £15(ish) million fee with the Premier League champions over the weekend. Not a bad little deal for either side, all things considered. Villa have recouped a sizeable wodge for a player with a dwindling contract and one foot out the door, and United have got themselves a wispy, tried-and-true (and gradually improving) Premier League standard winger for a fair price – as a rule, it’s not like £15 million tends to get you very far these days. Bargain. Has provede himself more than Henderson and Carroll, and they went for ridiculous prices. Good buy, worth a shot and with a decent team I reckon he’ll do well. Can United get any worse than Antonio Valencia? Only 15m? Is he only part English? Bad move, United have a surplus of wingers. Unless they are going into a 4-5-1 i dont see what the need is in signing a player with half of Nani’s/Park’s/Valencia’s talent. I don’t rate him that highly either, he’s too predictable, always cutting in on to his right foot. BUT the key aspect of his game is flexibility, expect to see Young, Nani, Rooney in a 3 behind a striker and in front of two central mids constantly changing between flanks and with who is playing just off the striker. That sort of play is a nightmare for defenders as you don’t know who or even how to mark in that situation. He fits the squad, that’s why he was bought. 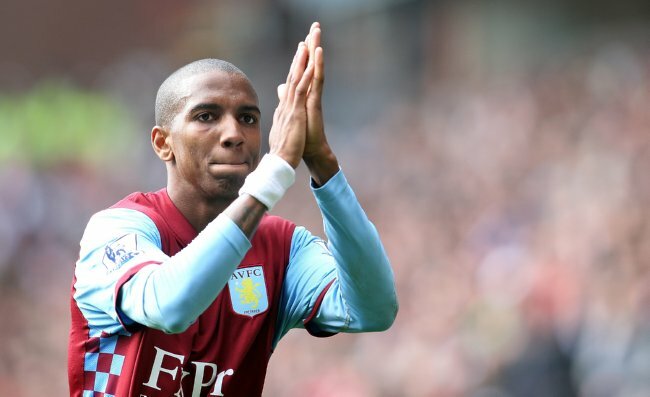 £15M is cheap for Ashley Young. Who says he is going to be playing as a winger at united? Who knows what fergie has in store for him.